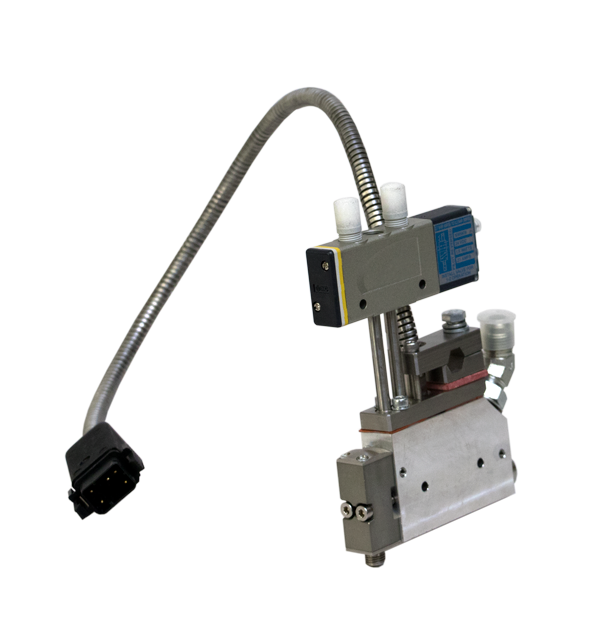 Astro Packaging ReliaMini applicators are designed for industrial applications that require precisely controlled beads of hot melt material to be dispensed onto a moving substrate. 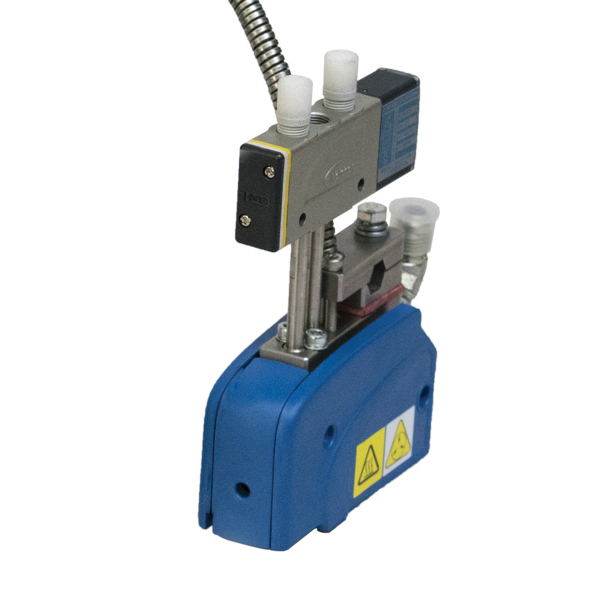 These MiniBlue style applicators are designed to be mounted, air-actuated, and triggered by a controlled solenoid valve. ReliaMini applicators can be used with Nordson®, Slautterback®, ITW Dynatec®, Graco® and Astro Packaging hot melt machines. Astro Packaging MiniBlue® style automatic guns apply hot melt adhesives to a product, providing uniform bead depostion and improved cutoff when used with aggressive or hard-to-dispense adhesives. Their air-open, air-closed dispensiging modules allow high cycle speeds and their compact size allows them to fit between the flaps of most cartons.